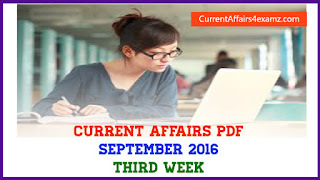 Hi Aspirants, here is the Current Affairs Quiz for 29 August 2016 useful for all upcoming Banking, Insurance and Government exams. First attempt the quiz and check your score. Below we have also compiled the questions and the right answers for easy studying. We strongly recommend you to first attempt the quiz and then study the questions. 1. Union Human Resource Development Minister on 28 August 2016 formally inaugurated IIT Dharwad. Name the present Union Human Resource Development Minister? 2. Indian Space Research Organization (ISRO) for the first time has successfully conducted the Scramjet engine test. The scramjet engine was test launched on board of which rocket? 3. Who was on 29 August 2016 named as the next Head of Larsen & Toubro(L&T)? 4. NASA’s solar-powered Juno spacecraft has recently successfully executed its first flyby of which planet? 5. Which Automobile manufacturer recently introduced DiGiSENSE, a cloud based technology solution to track vehicle information in real time? 6. Qatar’s based Doha Bank has recently opened a branch in which state? 7. 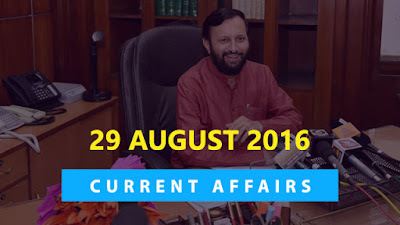 Which coutry is going to host the 19th SAARC (South Asian Association for Regional Cooperation) Summit from November 9-10, 2016? 8. National Payments Corporation of India (NPCI) has announced that UPI application has become operational. Expand UPI? 9. Four athletes recently received the Rajiv Gandhi Khel Ratna award 2016. Who among the following is not one among them? 10. India has been ranked ___ among the 171 countries in the 2016 World Risk Index (WRI)?